Everyone dreams of starting the warmer months in comfort. Homeowners long for air conditioning devices that are a quiet and efficient. However, occasionally, there are issues with the aircon, especially if the aircon has been around a number of year. Early aircon troubleshooting and periodic aircon maintenance in Singapore will ensure that you stay comfortable during the warmer months. With this being said, here are few common problems that may occur with your aircon. As you turn on the unit, is it silent? Are you unable to feel or hear anything? If yes, the circuit breaker might have tripped. Or, the fuse would have blown away. In such situations, the blown fuse and circuit breaker should be replaced/reset. Sometimes, air conditioners will not turn on if there are thermostat issues or loose wires. In such cases, you must hire a reputed aircon repair Singapore company. Take Away Tip: Always hire a reputed aircon troubleshooting company to help you! Never try it yourself if you are not sure what is the problem. More than 60% of households face issues with the air conditioner’s thermostat. These glitches can be prevented with periodic maintenance. Thermostat glitches will prevent the air conditioner from turning on. If the thermostat gives a low reading and the aircon doesn’t start, you must call the aircon repair company. They will advise you whether to replace or recalibrate the device. If your aircon has an old thermostat (the dial models) there is a higher chance of experiencing calibration issues. Take Away Tip: Request your Aircon troubleshooting company to replace the old thermostat with a programmable one. Programmable thermostats in Air conditioners are not easy to calibrate. You need an expert for this job. Is your room not cooling down even after turning the aircon to the lowest temperature? If yes, your air conditioner might have low refrigerant levels. 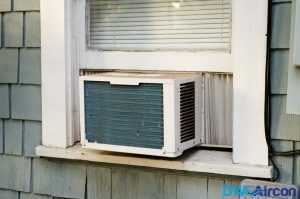 Underperforming air conditioners may have leaks or insulation issues. If your home/room is not cooling enough, you must have the cooling component inspected, particularly the refrigerant level. In fact, low refrigerant levels can result in sticky air. The right amount of refrigerant is required to control humidity and heat in the air. Take Away Tip: The Refrigerant is the lifeline of your air conditioner. It is equivalent to oil in a car. Some air conditioners heat up quickly! Heating issues are caused by faulty condensers. The condenser plays an integral role in the air conditioner. It removes heat and releases it outdoors. With excess soot, pollutants and dirt, the condenser have to work harder to remove heat. This is when the aircon starts to wear and tear. Take Away Tip: Hire a reputed Aircon maintenance Singapore Company regularly. Professionals will clean soot, pollutants, and dirt from the condenser professionally.